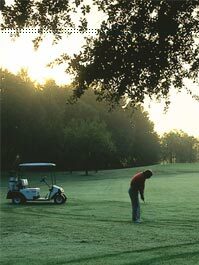 The Leesburg area has retirement communities that cater to active adults 55 years and older. Our over 55 plus retirement communities offer companionship through group activities as well as all the amenities one could ask for. In the area's over 55 retirement communities, there is nothing lacking in these well-established over 55 retirement communities located in Leesburg, Florida. The area has always been a favorite retirement spot for active 55 and over adults. Warm weather, sandy beaches and year-round golf is hard to beat. The number of 55 plus retirement communities in the Central Florida area has greatly increased in the last several years. Despite the competition, these 55 plus retirement communities still rise to the top providing plenty of amenities, including golf, tennis, swimming and socializing as well as a comfortable living style. The Leesburg area has unsurpassed 55 plus retirement communities. With so many exciting activities, classes and recreational opportunities, it takes full time activity directors to keep up with them. And large clubhouses to house them. And to top it all off, these over 55 retirement communities are minutes from shopping, medical facilities, restaurants, houses of worship and major highways. There are over 1200 named lakes in Lake County. All that Orlando offers is an easy 30-minute drive away. So stop by and get a taste of life in the Leesburg area!